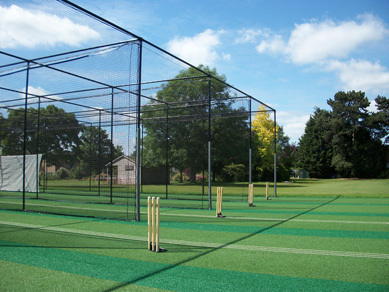 total-play Ltd was appointed by leading UK sports surface consultant White Horse Contractors to design and construct a new five-bay cricket nets facility with artificial turf batting and bowling ends at this historic boarding and day prep school as part of a broader project to create new facilities for tennis, hockey, cricket and athletics within the school’s 70 acre grounds. 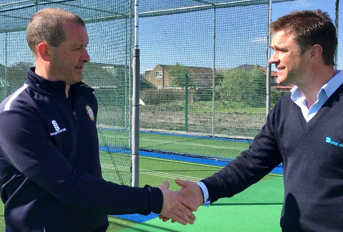 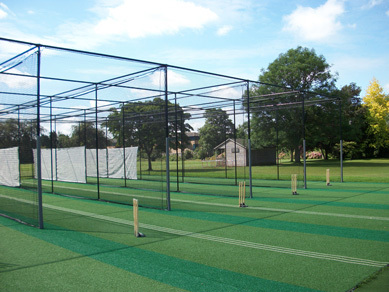 total-play was selected to undertake the design and installation of the cricket facility based on its ability to offer both WHC and the school a tailor-made solution endorsed by the England and Wales Cricket Board (ECB) in the form of its tp365 non turf cricket system. 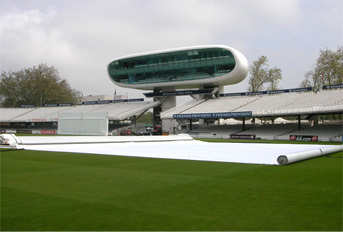 The two-week project was scheduled to fit tight project timescales and saw the total-play team battle the elements to complete the job on time and within budget. 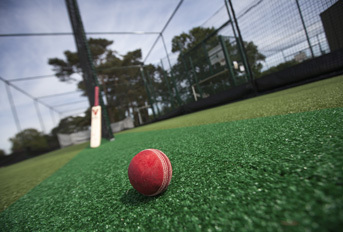 Having removed an existing under-used long / triple jump facility, the total-play team began installation with the laying of a dynamic base; including a primary layer created using a specially blended stone build, secondary layer and TP1 wilton woven playing surface carpet all constructed without joins to avoid points of weakness within the finished system. 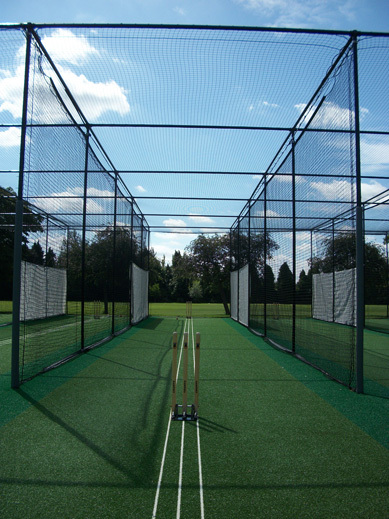 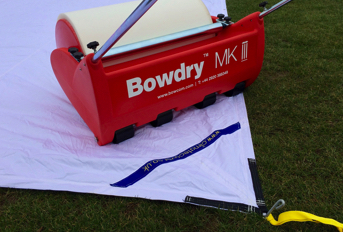 Everything within the specification was tailored to meet the client’s individual needs – from the powdered black finish of the total-play protection tunnel net system, to reflect the school’s red and black colours, to the inclusion of specially designed tracking lines sewn in to the carpet to provide a training aid for both batters and bowlers. 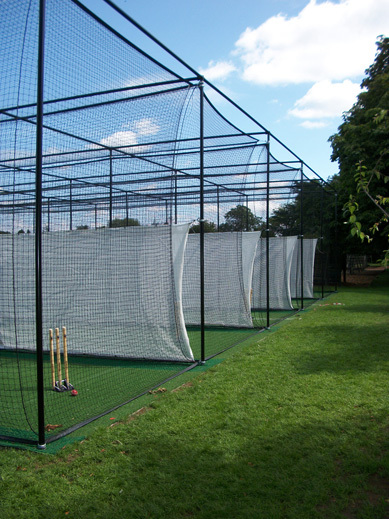 Once construction was complete, total-play was responsible for the remediation of the surrounding area. 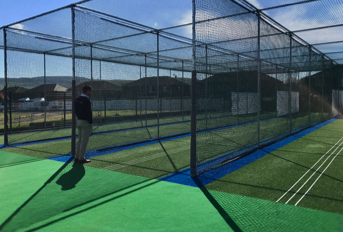 The school launched its new facilities to much fanfare, with parents and pupils present and past – including the actor Rowan Atkinson, whose son previously attended the school – witnessing large numbers of pupils making full use of the new practice nets. 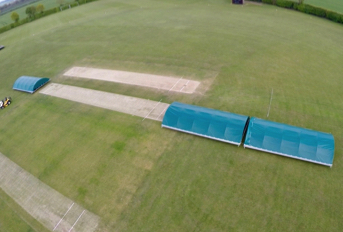 The school was so impressed with the work carried out by total-play that were recently invited back to carry out routine maintenance on the non-turf practice system.